A Boko Haram kingpin, Jarasu Shira, was on Wednesday morning arrested in Damboa, Borno State. Shira was said to have been arrested at a motor park at about 8.30am, along with 10 other suspected members of the group, who escorted him to Damboa to connect a vehicle to Biu enroute Lagos State. Daily Trust reports that the suspects were arrested by men of the Civilian Joint Task Force, who are providing support to the Nigeria military battling the militant group. Shira, who goes by the alias Jarido, is number one on the new list of wanted men by the Nigeria military. 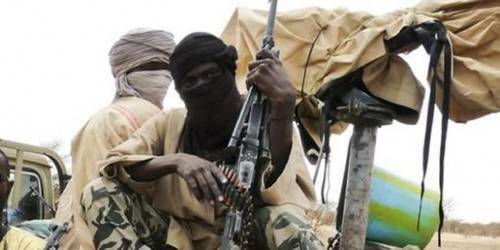 He is believed to be the leader of the Boko Haram militants in Damboa, Chibok and Askira Uba Local Government Areas of Borno State. The suspects have been handed over to military authorities in Biu, Borno State.